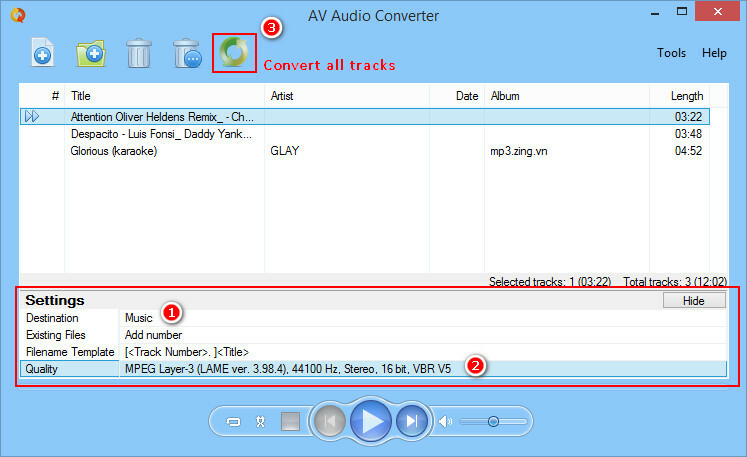 AV Audio Converter is a free audio format converting tool that can help you to convert your audio and video files into MP3, FLAC, WAV, MP4 or any other audio format. 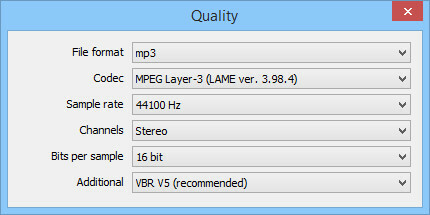 Audio formats: FLAC; MP3; WAV; WMA; OGA; OGG; AIF; AIFC; AIFF; AAC; M4A; MP4; CDA; CUE; APE; APL; MPC; SPXL; TTA; WV; etc. Video formats: 3GP; AVI; MP4; FLV; MKV; etc. 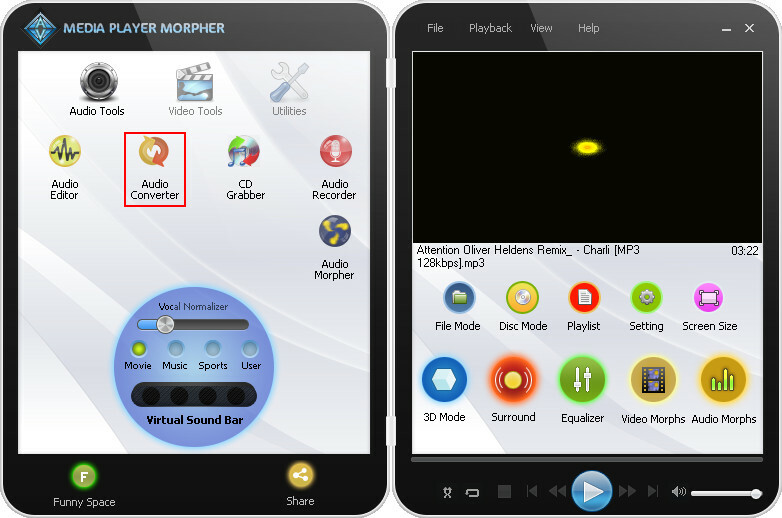 - Launch Media Player Morpher » Select Audio Tools icon on the left panel » Choose Audio Converter to open the tool. - Choose Destination (1) to save your converted files. 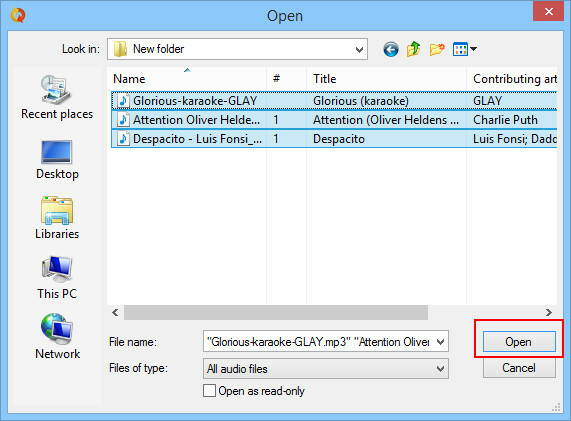 - And then, click on Quality (2) to choose audio format. - After that, click on Convert all tracks (3) to begin the process. And that’s it, your audio file(s) now will be saved under a new format and unsupported file is no longer your problem now.